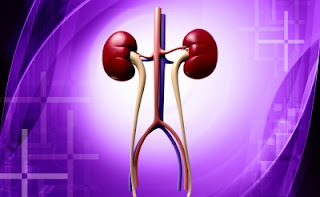 I want the first post to address the absolute basics about the kidneys. Looking at this from a patient's perspective, I am often surprised by how little some of my patients know about the kidneys. I guess the lay press has a done a pretty good job of educating everyone about the other "more glamorous" organs! Everyone realizes the important roles played by the heart, the brain....even the liver gets its fare share of the limelight with everyone realizing the connection between liver disease and alcohol intake. The questions that I get asked often range from, "what do the kidneys do", "what/where are they", "why should I be worried about kidney disease"? "Image courtesy of [Dream Designs] / FreeDigitalPhotos.net"